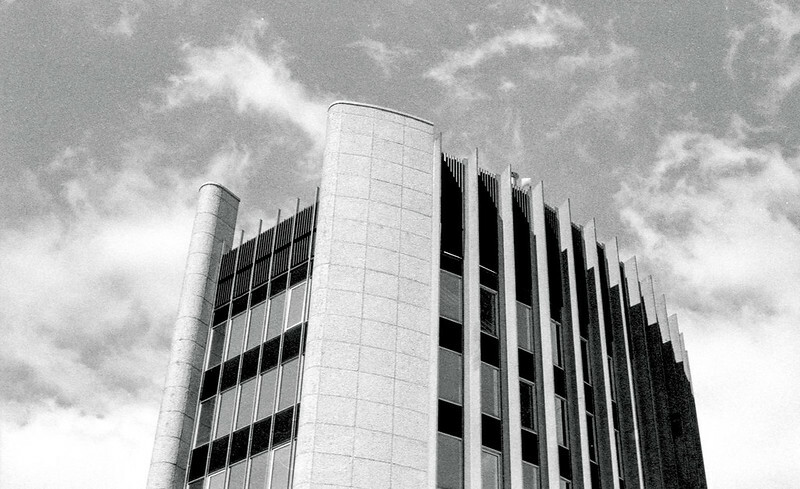 I got my Nikkormat FT2 back from my new repair tech and I wanted to try it out. 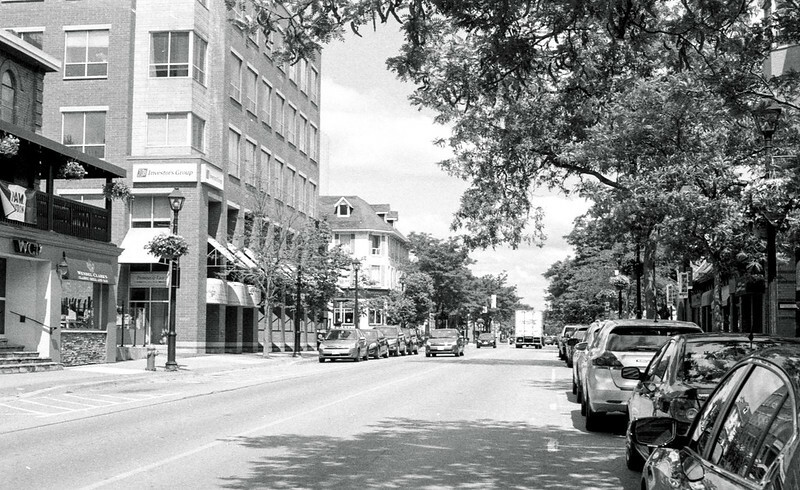 After a run to Burlington Camera, I went over to Brant Street and shoot my last roll of Bergger BRF 400. The camera works fine, the meter overexposes by a stop but no big deal. 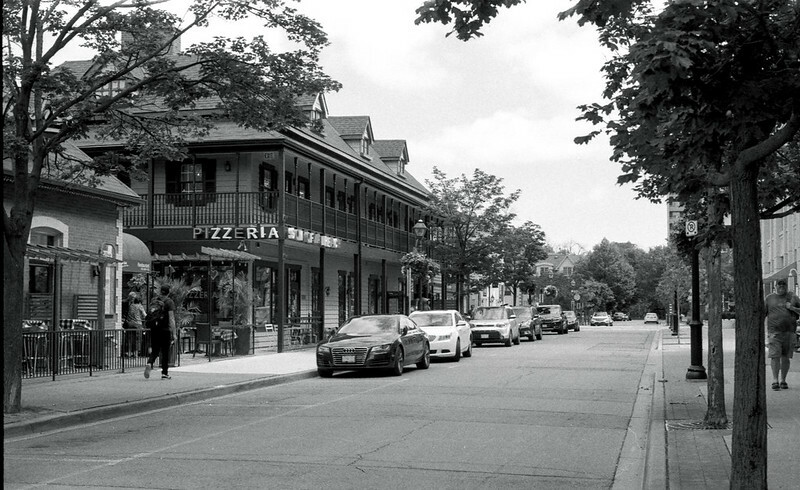 What got my attention with Burlington's downtown was downright hopping compared to Lakeshore Road in Downtown Oakville which is currently suffering from at least 24 vacant storefronts. Burlington and Oakville population-wise are roughly the same size, both are on Lake Ontario between Toronto and Hamilton, both communities could not be more different. 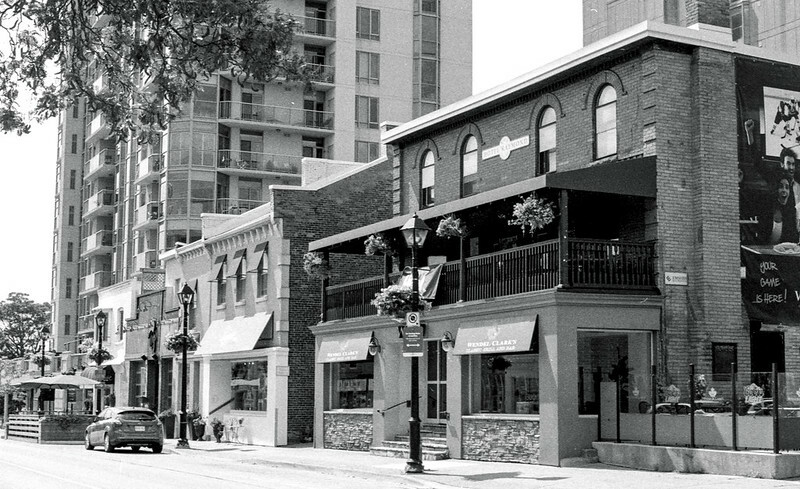 Burlington allowed condo, office and apartment development in its downtown to co-exist with low-rise retail and heritage buildings. 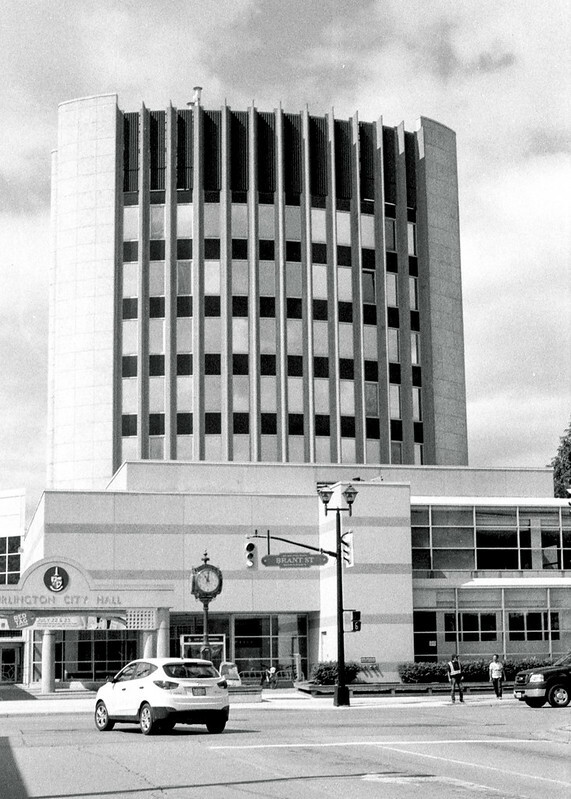 Another observation, Burlington's Town Hall is downtown and is front and center. As a result, downtown Burlington has a much lower commercial vacancy rate and a more diverse retail cross-section than downtown Oakville. As a long time Oakville resident, my thoughts aren't going to win a lot of friends, too bad. 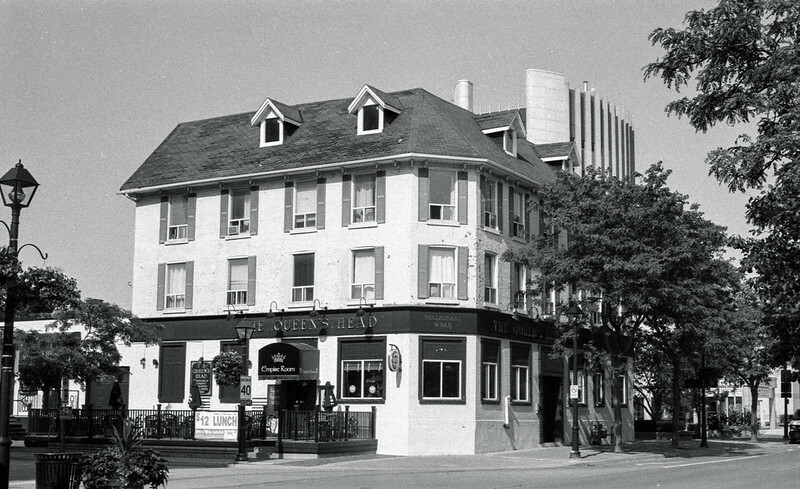 A lot of serious mistakes were made with downtown Oakville by well-intentioned politicians and citizens groups over the decades. First off the aversion to high-rise development. Honestly where the Coventry and Randall Residences luxury developments are located should be 12 story condos. 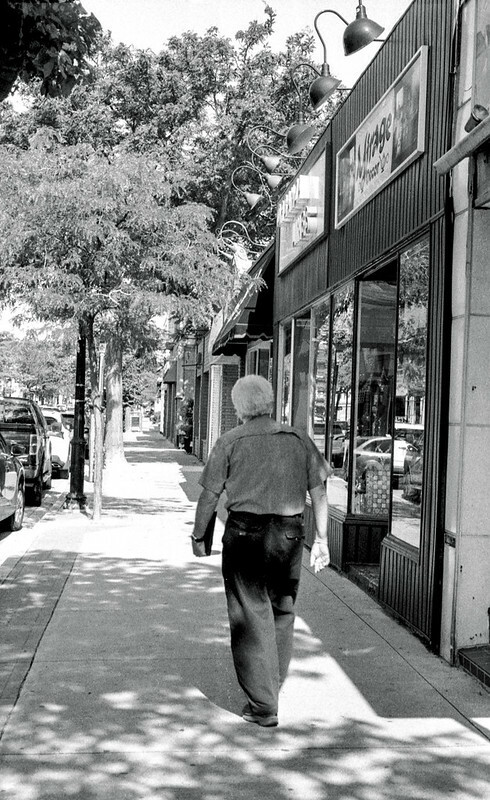 There are not enough customers for downtown Oakville retailers, and the residents of Olde Oakville are aging out or just not shopping on the main drag, and there aren't enough people in the existing surrounding apartments not shopping there, that's a problem. 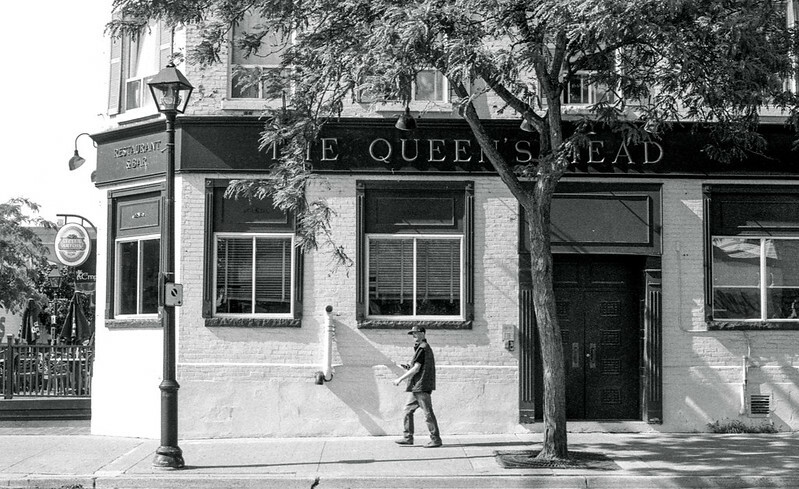 If I'm living north of the QEW or west of 4th Line, I don't have much reason to go to downtown Oakville unless it's for dinner. The other thing, Burlington embraced being a city, Oakville by virtue of its branding is in some sort of odd denial thinking it's a town behaving like a village, at its worst maybe a hamlet. Time to drop that hokey BS and put your big kid pants on. 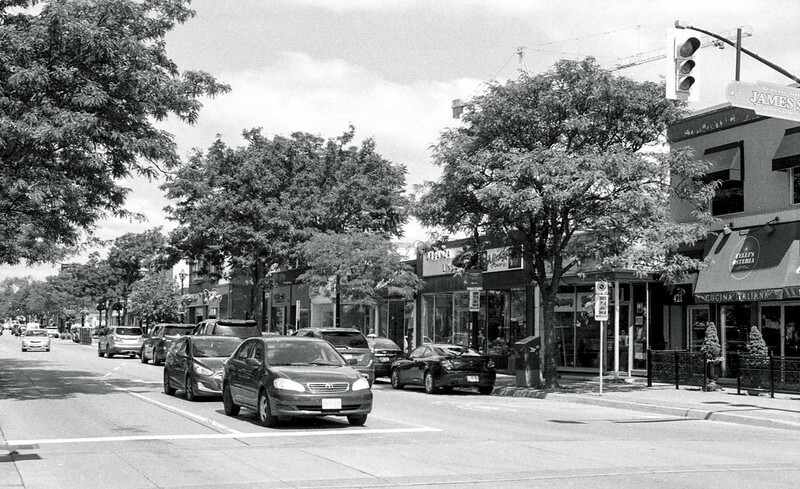 If you want a thriving downtown Oakville, you're going to need A LOT more density, not multi-million dollar townhome residences because people shop near where they live. Sadly that will freak the old dears out, and you know that will be quashed. Camera: Nikkormat FT2, Nikkor H 50 f2 lens.